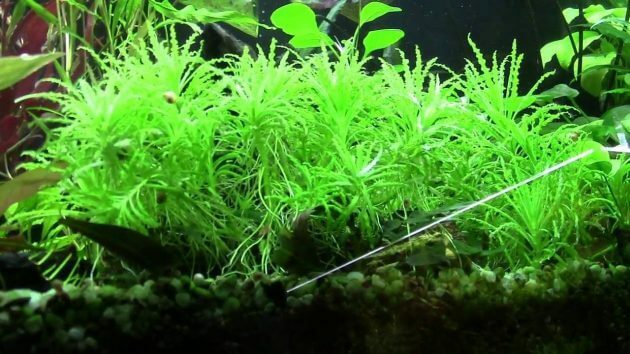 Live Plants in Freshwater Aquarium “Pogostemon Helferi or Called Daonoi” – Pogostemon Helferi is one of many unusual foreground plants for freshwater aquariums. The dark green and the curled appearance of its leaves make this plant has a unique look than another foreground plants. This plant also called as “dao noia “daonoi” or “downoi” keeping fish its meaning “little star” in Thailand language. The natural habitat of daonoi is in riverbeds. 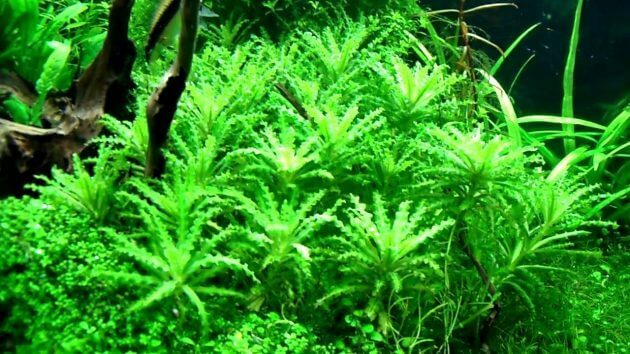 The pogostemon helferi has been known to science for over 120 years, but it was discovered as an aquarium plant in 1996 by Arthit Prasartkul and Nonn Panitvong. They found P. helferi in province Kanchanaburi, Thailand border with Myanmar. They found this plant species on a fast flowing river with limestone ground. It grows on and between stone, submerged for the rainy season and frequently in a strong current. In autumn and winter season, the pogostemon helferi fall dry and shape upright shoots with striking flower spikes. 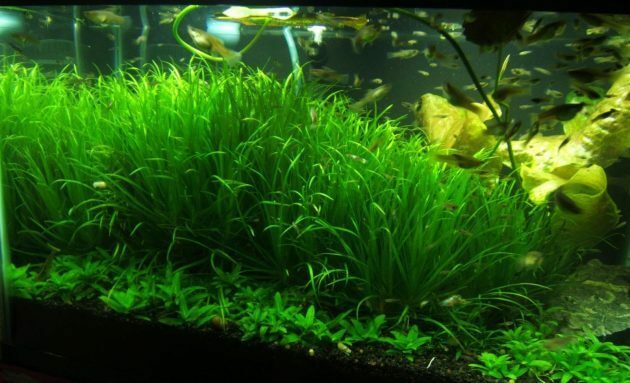 Cultivating downoi is easy that why its suitable for beginner aquarists. Given that plant sufficient light (0.5 – 1+ watt/ liter), sufficient injection CO2 and adequate levels of fertilizer including, magnesium, nitrate, potassium, and phosphate. It also needs a lot of iron that makes the leaves very dense and green leaf color. 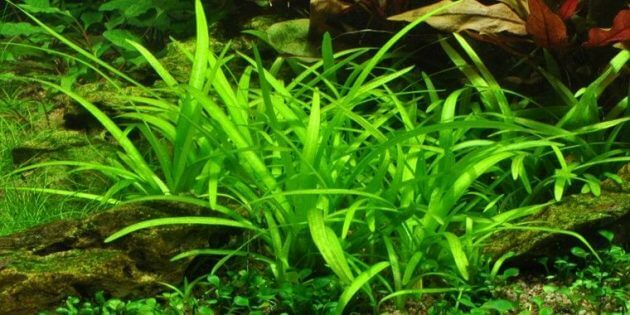 If it’s planted in the aquarium with Insufficient light that will induce etiolation to the plant. Induces etiolation will make the internodes of this plant get longer and the leaf becomes to yellowish. Propagating the Pogostemon Helferi is quite easy when cutting this plant use cutting tool with sharp edges. First, cut shortly under a node. Then, you can shorten the lower leaves a bit, so the plant has a preferable hold when planting in the substrate. And then, planting this pieces of this plant to the substrate when planting it to the substrate using the plant tweezers to avoid bruising in the substrate and makes easiest planted when plant to a difficult area like as between two rocks or driftwood. In the large aquarium, p. helferi is better kept in the foreground area, but if it kept in a small aquarium or nano aquarium is suited in middle ground. When handling this plant you must be careful because it’s easy to bruises, which may lead to dieback, so use the plant tweezers to avoid it. If you want attaching P. helferi to rocks or woods is best done with a nylon thread. When attaching it, do not draw the nylon thread too tight that will avoid the plant to bruises. 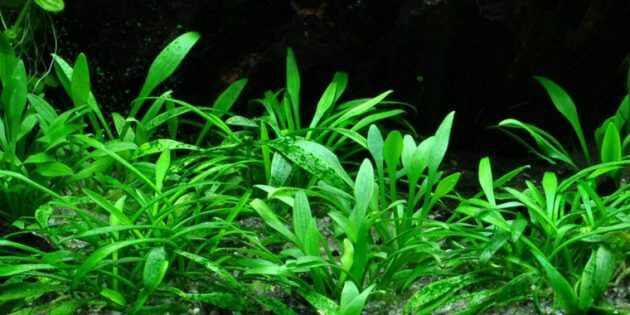 Besides planting the pogostemon helferi in the aquarium, it also very nice plant for paludariums. It can cultivate emersed and partially submerged in paludariums. 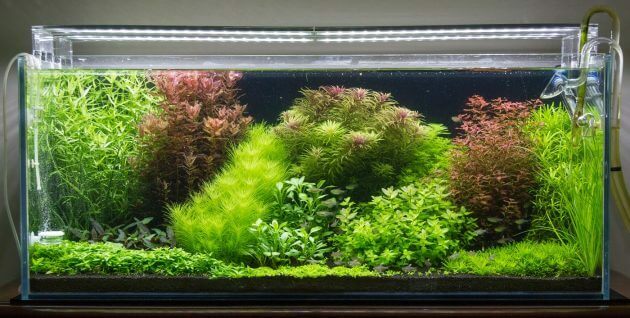 The pogostemon helferi maybe planted alone in the aquarium or combined with other foreground plants such as Dwarf Baby Tears or Glossotigma Eatinoides to give a stronger impact display. Some herbivore fish are thinking this plant as a tasty salad, so try to avoid keeping fish species like rummy nose or rainbow fish and goldfish. And also, don’t keep fish species that like to redecorate their aquarium such as Oscar cichlids, they often trying to uproot any plant they find in the aquarium. 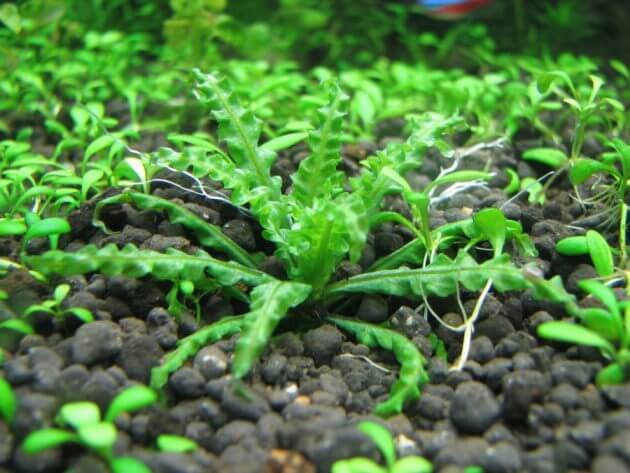 The pogostemon helferi need moderate and a lot of attention to stay healthier and stronger, so this plant is not recommended for beginner aquarists. If you want to plant pogostemon helferi in your tank, you can buy it on amazon.com. Let’s check the offer and get free shipping, Click Here. Please be careful, when removing the yellowish part to avoid all part of this plant from becoming infected and eventually dying off, you can use a scissors plant to remove it. 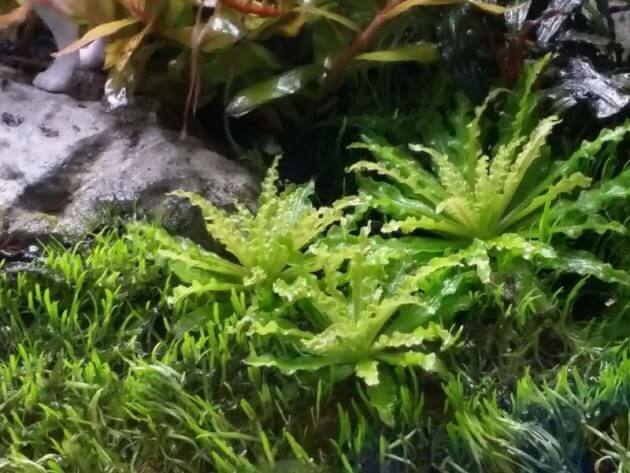 For aquascaping scissor, you can buy Here. Binomial Name: Pogostémon hélferi (Hook. f.) Press.